By using a very thin layer of material, a cosmetic dentist designs a veneer to match the shape, size and colour your desire. 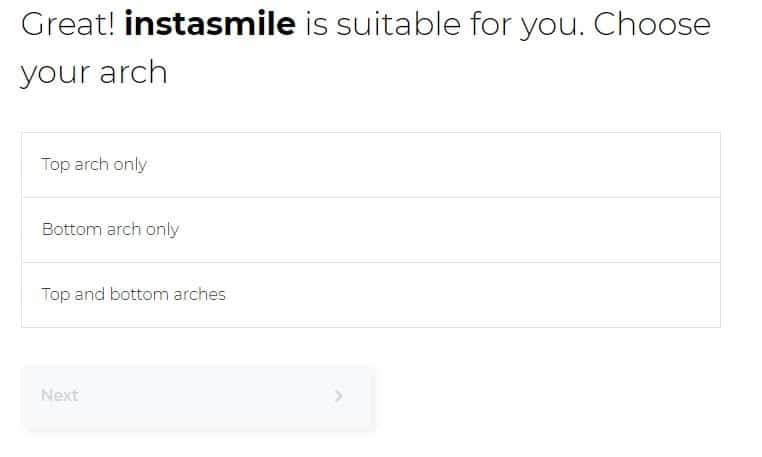 At around £500-1000 per tooth for dentist provided veneers, the total cost to transform your smile costs thousands, if not tens of thousands of pounds. This is expensive and beyond what many people can afford. Semi-permanent – More durable options exist allowing for extended/everyday wear. Colour – The colour match to existing teeth can be poor. They are also considerably cheaper than proper veneers that can cost anywhere between £500-1000 per tooth. 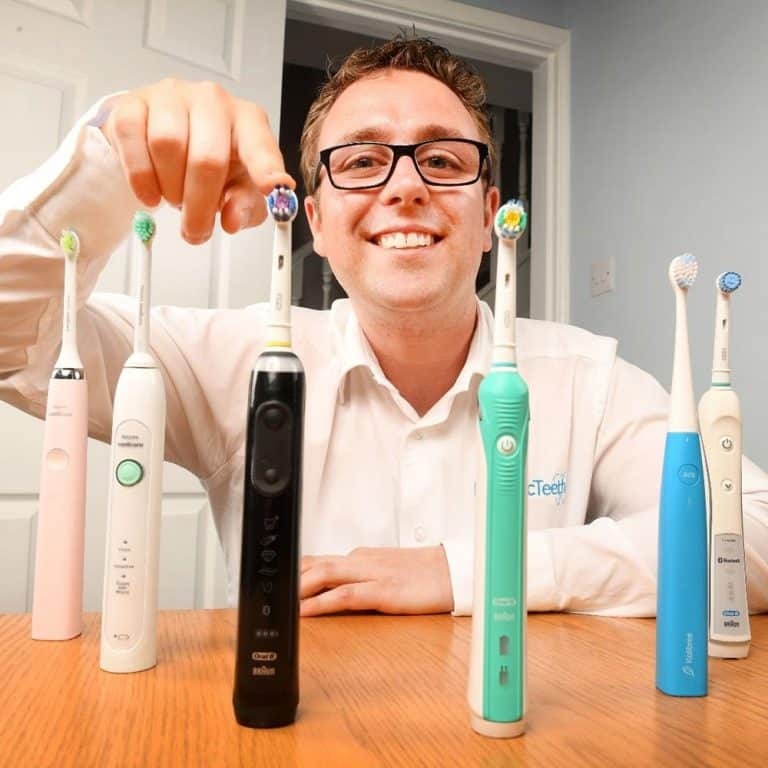 However, different companies use different materials and have different customisation processes that all play a part in the set of clip on veneers you get. They are generally made from very thin resins or plastic materials which should withstand the pressures they endure, but because they are thin or potentially made from lower grade materials, the placing and removal as well as the biting pressures when eating can wear them material quickly. You want to be cautious when picking the colour, as the shade on screen will look different in real life and in different lights. Most companies offer the option of buying the veneers for either the upper and lower arches of teeth or both. It is advised to buy veneers for both rows/arches of teeth. 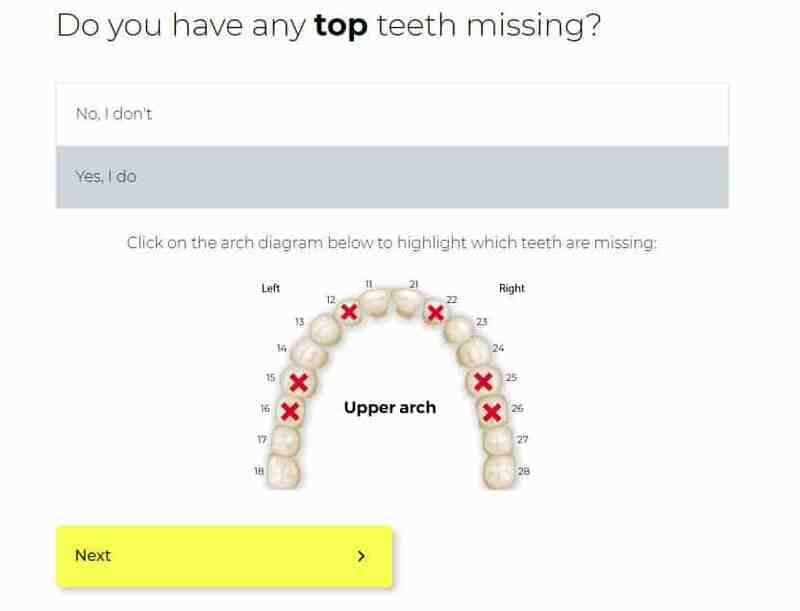 Although typically it is your top teeth that are most visible, if you select only one of the arches you may find that it becomes very obvious that you are wearing veneers as the colour match and alignment can look quite different. 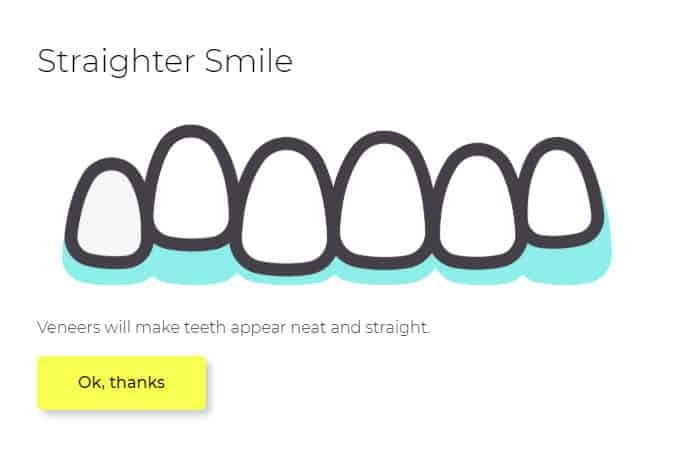 Online services, in particular, make the veneers essentially to your specification, but despite taking moulds and seeing images they just can’t get the same view of your teeth as a dentist can in person. Because of what it is and what it achieves, the brand name has, in essence, become a more generalised term to refer to these clip on veneers. Much like how ‘coke’ has become the name many use to refer to cola. The dentist has a few choices in size and colour of the veneers, as well as full and partial arches. The dentist will pick those that will most closely match your existing teeth and look most natural. However, for some, the results may not be so positive. This is because the quality of the veneers differs as do your teeth and look. 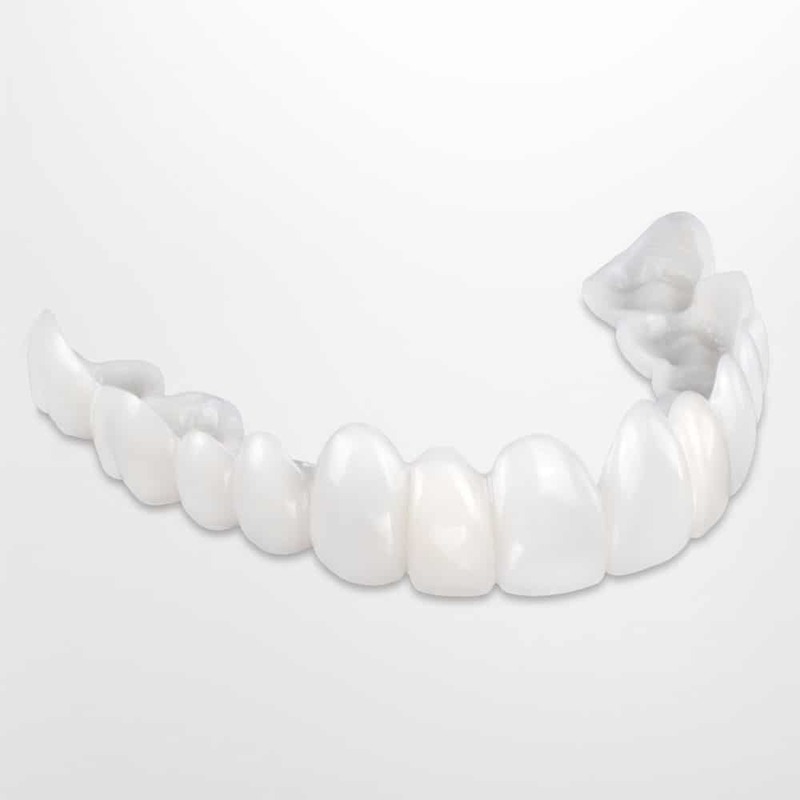 However, whilst this is an option, dentists will generally advise sticking with a denture over some sort of temporary solution like clip on veneers. This is because the denture is designed to be a more permanent fixture and is able to withstand more pressures and remain in place (in most cases) when eating and drinking. The snap on veneers may mask the teeth, but they don’t stop tooth decay, gum disease or other conditions that can affect your teeth and mouth. You still need to take care of your teeth and general oral health. See our teeth brushing guide for advice on how to do this. Lasting anything from a few months to a few years they are not as durable and although technology has helped the snap on veneers look more natural, they simply don’t look as good as veneers made by a dentist. When you get face to face with a person, it is easier to tell the snap ons are artificial. Of course, much of this is personal opinion. 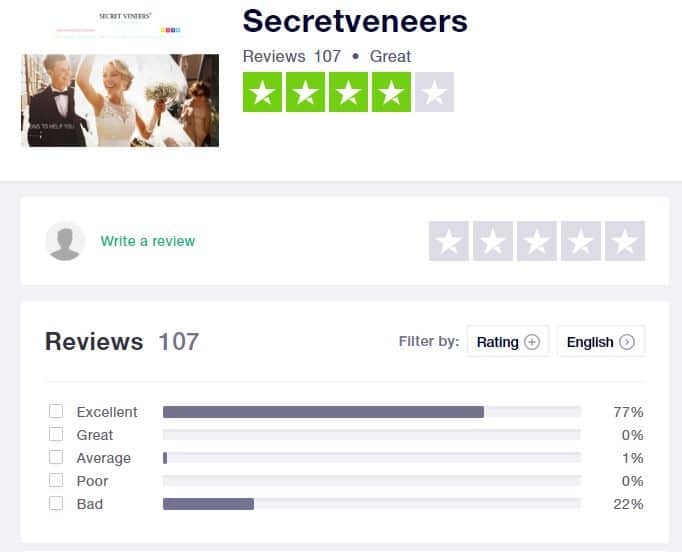 There is certainly a place for snap ons, particularly if they are desired only for occasional use and finances do not allow the purchase of dental veneers. 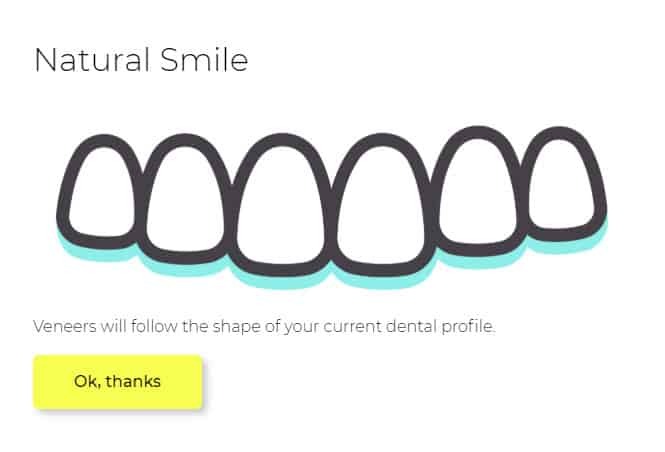 If you have been considering getting dentist provided and fitted veneers, snap ons help give you an idea of what your smile may look like, without committing to the procedure. A temporary set of veneers might also be useful for particular social engagements you may have. Perhaps you are going to a wedding, a party or a special event. 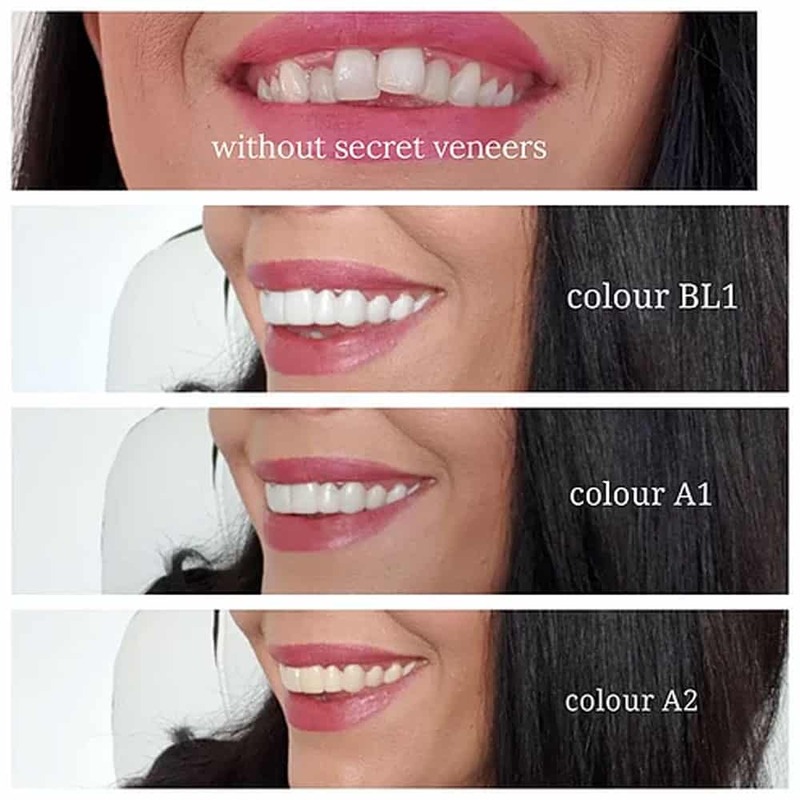 The veneers can alter your smile in a way you might be more happy with, giving you extra confidence and being happy to pose for photos you may have otherwise avoided. Please be aware these stages are generalised and the exact steps will vary from one company to another. 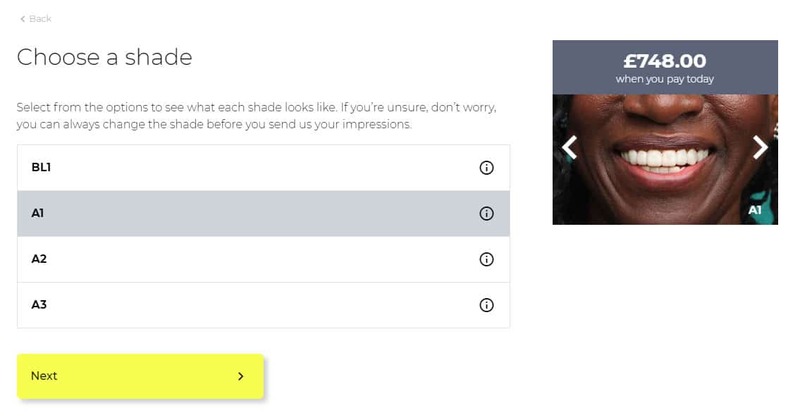 For the purpose of example only, I have used screenshots and images from Instasmile to help explain the process. I strongly advise, the first thing you do is have a dental check-up. Take a detailed look at their website, read frequently asked questions and become very familiar with what they offer. 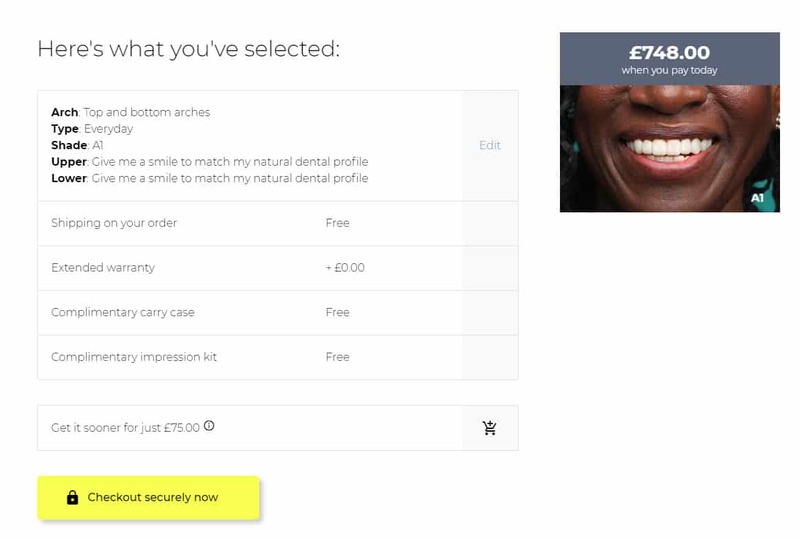 It is at this point that you will be expected to select the product you desire from the companies range and make decisions on things like the colour and the tooth alignment (assuming these options are given). You will too usually be presented with extra details about the companies order process, the time it takes and importantly the final cost. Open the putty (often a white and a coloured putty) and mix together for about 30 seconds, then press into the tray. Keep the pressure on the tray so that it remains in place. Is the colour of the putty uniform? This is usually a head on and side on shot of your teeth as well as then a top up/down shot of the tops of your teeth. 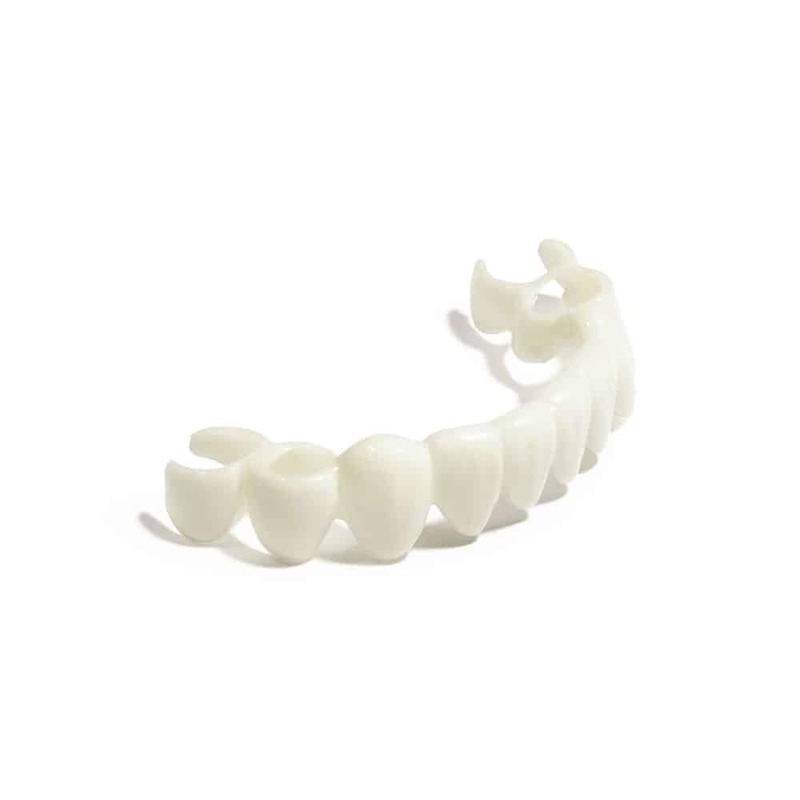 These are used to help with the manufacturing process to ensure the moulds are a good match to your teeth and your veneers are made correctly. Always follow the guidelines that the manufacturer of your veneers offers. There are an increasing number of suppliers of snap on veneers. Below is a list of the largest and most popular companies to buy from along with a brief overview of what they offer, where you can find out more about them and approximate costs. Approximate cost: £1000 per arch. £1700 for both arches. £800-900 for a partial arch. About: Perhaps one of, if not the biggest online brand for veneers. There have 2 different products, the classic and the platinum and offer single arch veneers as well as packages for both. A one off payment price as well as finance options. Requires impressions to be taken at home. Available in the UK and USA. Approximate cost: From £250 for a single arch and £375 for both up to £750 for the most premium option. About: A UK based company offering full arch veneers. You buy each arch with no discount for buying a full set. Requires impressions to be taken at home. Payment plans offered as well as a one off payment. They ship worldwide. Approximate cost: £299 per arch. Approximate cost: Cheapest option is £598 per arch and £975 for both arches with the most premium being £1150 for an arch and £1700 for both arches. About: An American company that requires you to take an at home impression. Offer a package containing both upper and lower teeth. The veneers cover 12 teeth on each arch. You can pay one lump sum or in 2 instalments. Offer worldwide shipping. About: A UK company offering two different products, ideal and Elite. 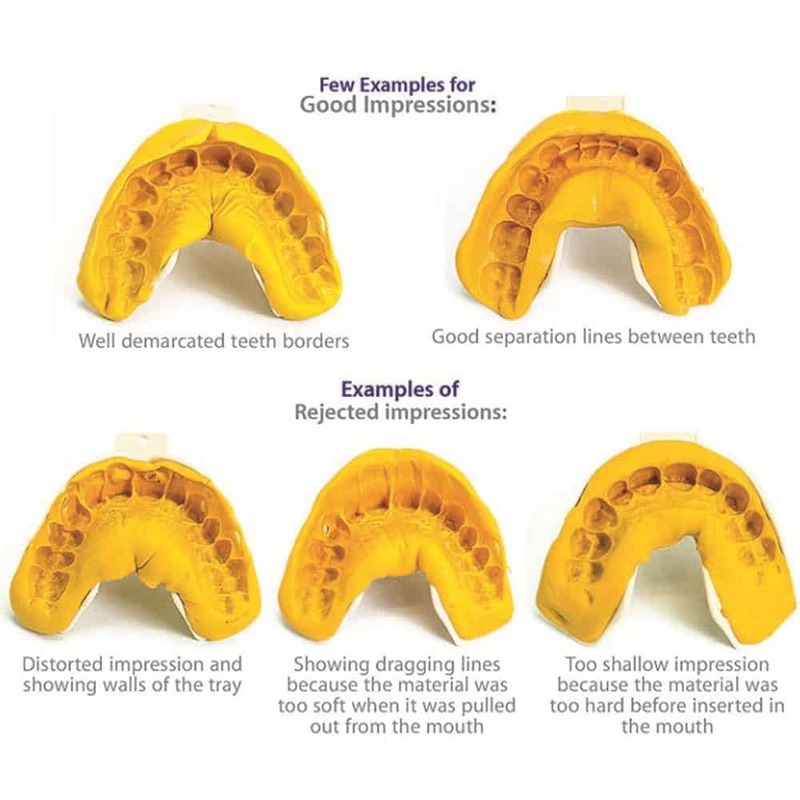 An at home impression kit is used to custom mould the veneers. Available for one or both arches. Savings to be had for buying ‘spares’ along with various payment options. Worldwide shipping offered. Approximate cost: Prices start at around £243 for a single arch or £378 for both. More premium elite option increased to £492 and £744. About: A UK company offering a premium and platinum option to serve different users. 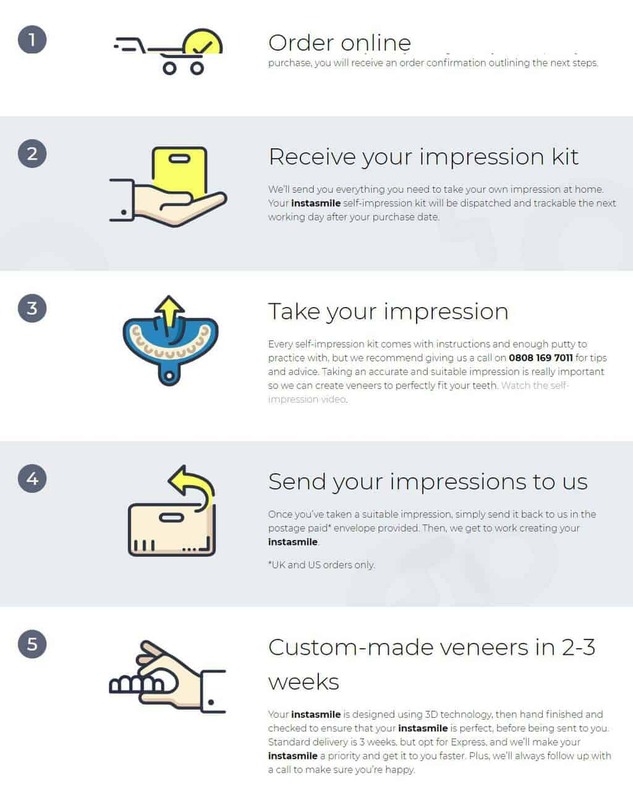 An at home impression kit is provided, with the veneers being made available in as little as 14 days. Worldwide shipping offered. Approximate cost: Prices start at around £200 for a single arch and £370 for both arches. Opt for the platinum option and the prices increase to £330 and £600. About: A very cheap and basic option. Moulded using hot water at home, no impression kit of weeks of waiting. One size fits all solution that really looks quite artificial and is very difficult to fit correctly. Offer worldwide shipping. For those with the tightest of budgets, there are a number of companies offering off the shelf, mould at home/fit instantly packages via the likes of Amazon and eBay. These tend to be really cheap, at around £10-20 and generally well under £50. At approximately £1000 for an arch and £1700 for both arches this tells you get an idea of how these cheaper online providers compare. 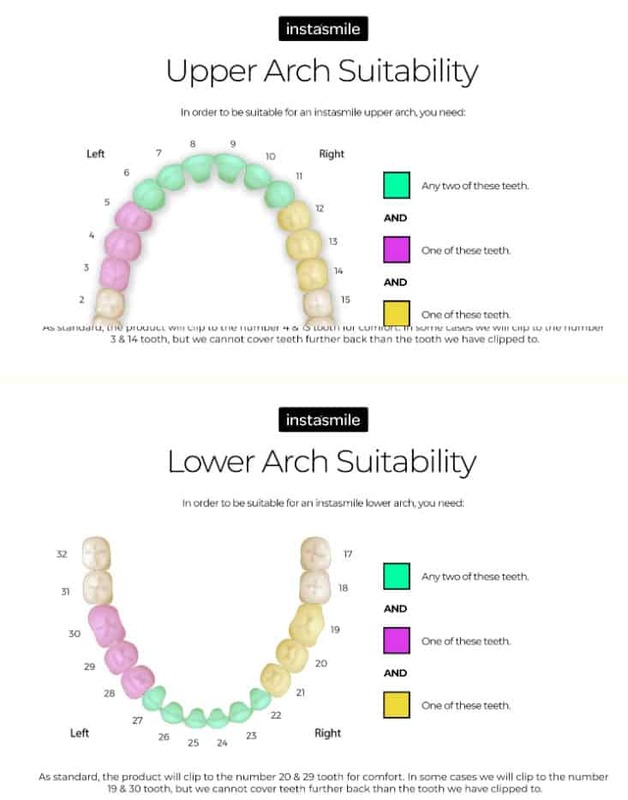 A single arch of veneers, be that top of bottom cost anything from about £250-600 with both arches costing £350-1000. Different companies do too have different payment options. 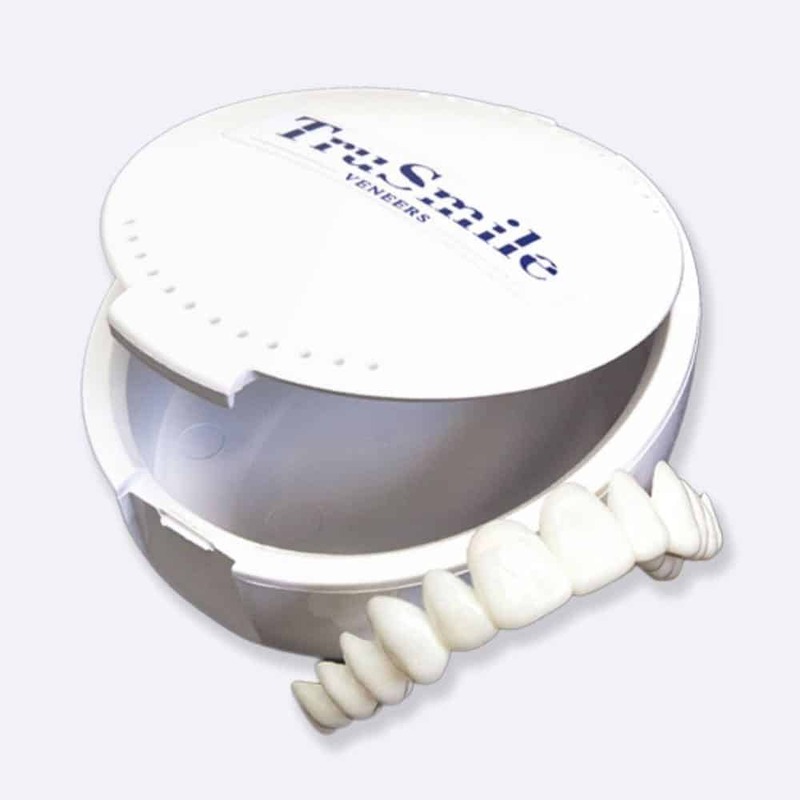 These will cost approximately £200-400 per tooth. Let’s say you were to have 6 veneers on the top and 6 on the bottom row of teeth, that is 12 in total. 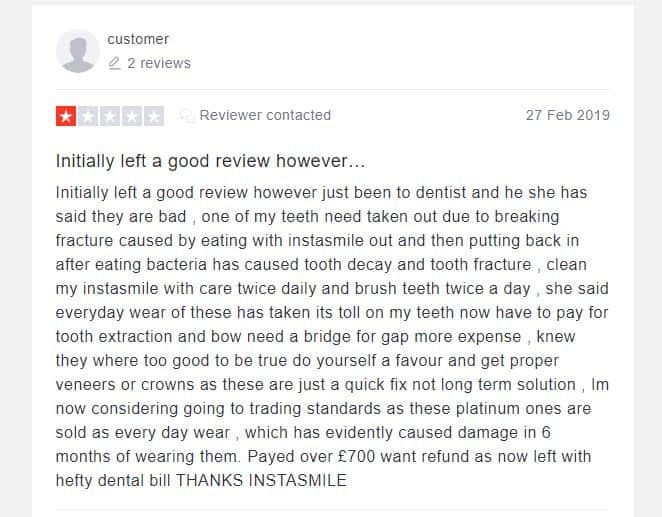 At £200 per tooth that is a cost of £2,400 in total. 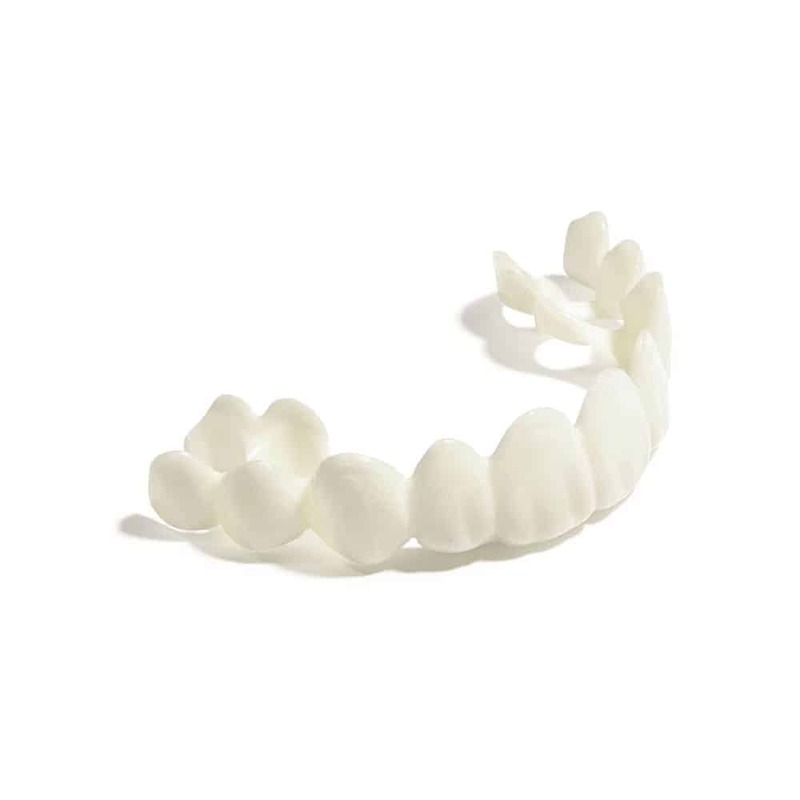 For the sake of comparison, Instasmile Platinum cost approximately £750 for both arches. The premium platinum set come with a 12 month warranty. Assuming they last about 18 months, you would need to buy 3 sets over a 5 year period at a total cost of approx £2,250. There is just £150 difference in price. 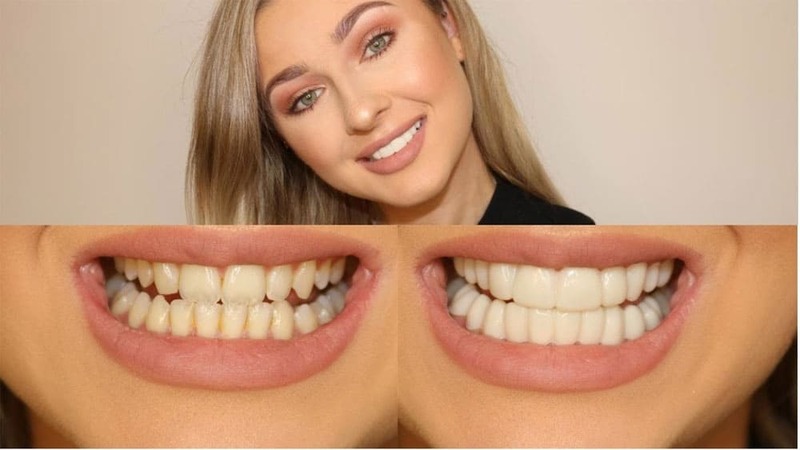 Given that you can eat all foods and not have to remove the composite veneers like you do the snap on alternatives, is the £150 saving worth it? The reason many opt for snap on veneers is that they are cheaper and more affordable than the veneers they really want. 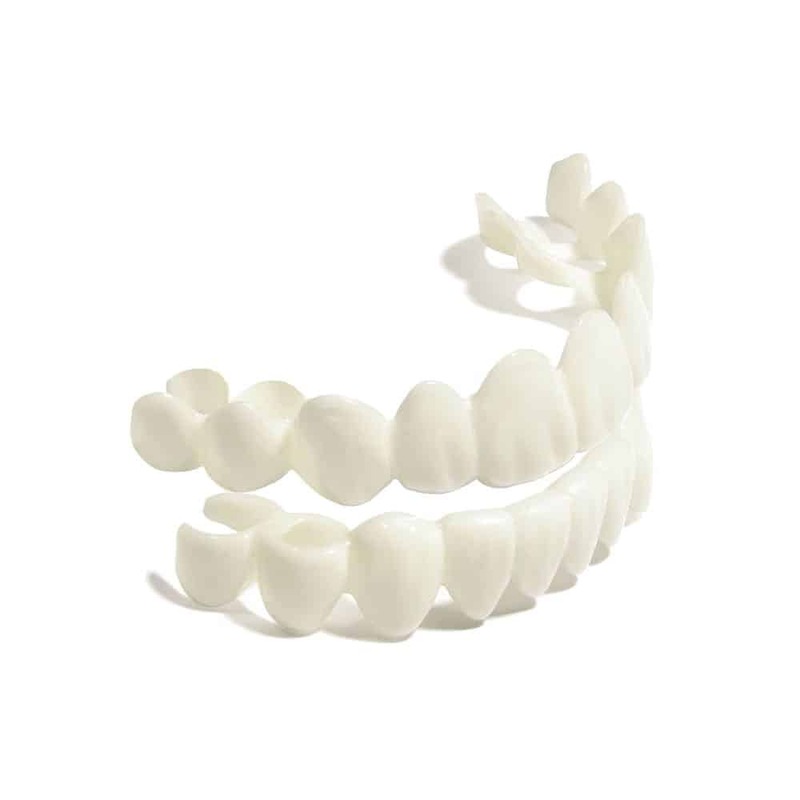 Porcelain veneers are the gold standard when it comes to dental veneers and cost anywhere between £500 to £1000 per tooth. In my example above, you would be looking at a cost of anything from £6,000 to £12,000 to get porcelain. Of course, this is just an example, but let’s say you pay £6,0000 and assume they last 15 years (typically 10-20 years) that would give an annual cost of £400. 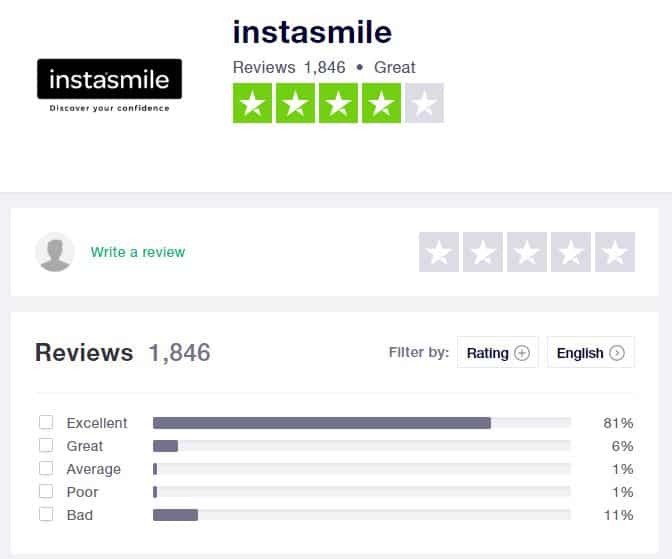 By my calculations that is approximately £100 less per year than opting for the Instasmile platinum veneers. 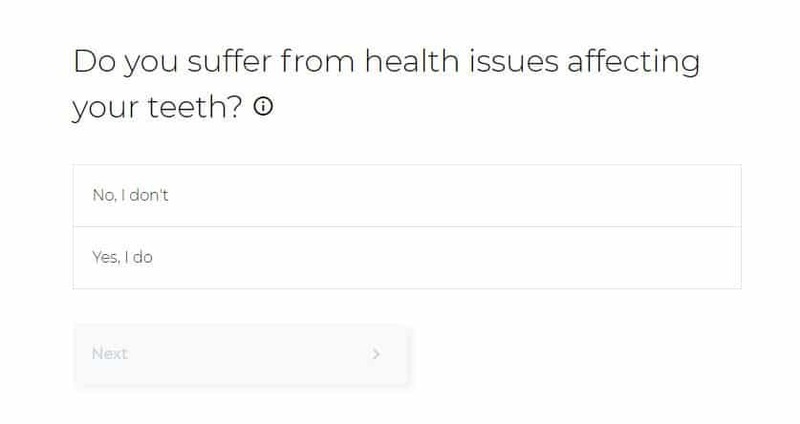 More often than not, the results that these clip on solutions offer are far inferior to those offered by a dentist. They are also a relatively cost effective option for testing out a new look without committing to dental work and higher cost. For your own peace of mind, you may want to get your dentist’s assistance when taking the moulds of your teeth, but this is not required and can be done at home on your own, providing you follow the directions.